Last August this grand adventure that I call life took a rather dramatic, exhilarating, and on occasion, unnerving, turn. For the first time in more than thirty years of marriage, I was no longer bringing home a steady paycheck or two or three. So, with the encouragement of my dearest friend, rather than looking for a replacement job I set out in unto uncharted waters on a quest to be able to pay bills and buy groceries by doing what I enjoy most, telling people where to go, and through our travels, help them transform a trip into a grand adventure of their own. This week, less than three very long days, this quest has included work on the weekly Live From Kingman radio broadcast (available live on Friday mornings via the internet and, hopefully, soon the Route 66 segment will be a podcast). My role is providing Route 66 related updates and facilitating interviews. This week the latter included Scott Dunton, president of the Route 66 Association of Kingman, Bill Thomas of Atlanta, Illinois, and author Roger Naylor. I have also been diligently striving to complete the photo and caption file for the new book, with the exception of the chapter on California. That final section will have to wait until we update the photo portfolio with new images, and that will require a journey along Route 66 to Santa Monica in the first weeks of March. There was also the weekly Tuesday morning marketing meeting at Ramada Kingman where I indulged in a $4.66 breakfast special, the steak omelette. 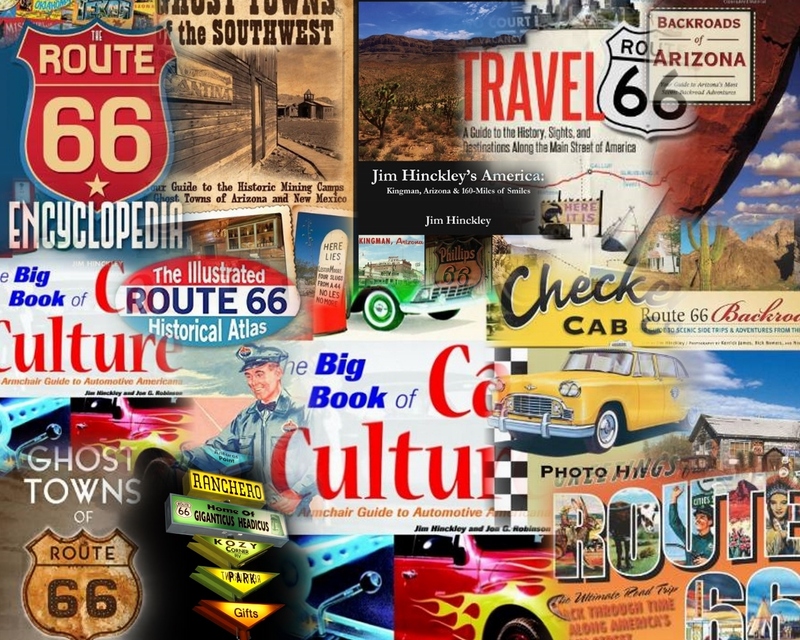 The Route 66 photo contest (information on the motel homepage website) looks like it is shaping up, the area tour packages are being promoted and others are being discussed, and there are plans for catered receptions hosted for visiting groups. A surprise visit from friends who now live in California made a dinner most entertaining. Likewise with an opportunity for lunch shared with an old coworker who was in town for the day. Yesterday, and last evening, in conjunction with Kingman area tourism, I served as a guide and answered questions for journalists from Le Figaro, a French magazine. That too included a most stimulating dinner, this time at the Dambar. Today’s projects include drafting a report for a chamber of commerce meeting on community development meeting this evening, creating a photo file for the Kingman Circle initiative, and developing a Power Point presentation on Route 66 in Arizona for visiting journalists that I am to make this evening. Only a few of these endeavors pay directly but each has proven to be most interesting and rewards are not always immediate nor can the best of these, new found friendships, be measured in dollars. Those that do, however, have required my dearest friend and I to become bookkeepers, another learning curve. It has also required a rather difficult adjustment from an almost lifelong schedule that centers on early to bed and early to rise. These, however, are small prices to pay for an opportunity to write a new chapter. The rest of the week looks to be just as interesting. Of course, that is most likely subject to change at a moments notice. 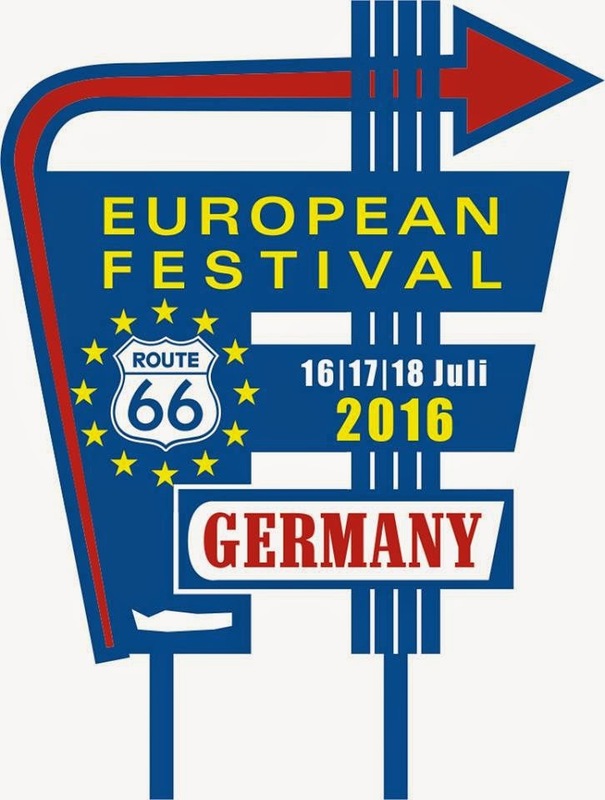 After what seemed like endless weeks of negotiation and schedule adjustments, I can now confirm that we will be at the European Route 66 Festival in Germany this July. This week airline reservations will be finalized. Life, the grand adventure. That almost sounds like a title for a new book.